Some people buy drugs. I buy plane tickets. It’s inevitable. No matter how much I try and fight it, I can’t. It’s not that my life is monotonous so that I feel the need to ‘escape’ to other places, in fact it’s anything but. It’s just that somehow I am completely and utterly besotted with travelling and exploring and all that those encompass. Some people tell me I have a problem. That I’m addicted to travelling the way some people can’t get out of bed without a shot of vodka, or the way some people will happily puff their way through at least one pack of cigarettes a day even though we know they can kill you. I call them suicide sticks. Anyway, the point is, addictions are not healthy and they are actually harmful. Travel, therefore, cannot possibly be an addiction. It harms you in no way whatsoever and it is extremely healthy, in fact I’d call it a necessity. To me, it’s as natural and essential to my well-being as 2 litres of clean water a day is. It nurtures my mind, body and soul in so many different ways that I actually wish I was a doctor sometimes so that I could start prescribing people with a flight ticket to Taiwan or South Africa, as opposed to a daily dose of numbing antidepressants. Instead of drowning your ‘sorrows’ in those nightly bottles of wine, why not go skinny dipping in the ocean and feel your sorrows float away, deep into the waves? Some people think that to travel you must be rich. This is not true and never has been. To travel, you don’t have to go to the other side of the world and stay in a 5 star resort, eating at Michelin-starred restaurants every night. You could take a day trip to a town 30 minutes away from your home, you could stay in a basic hostel and you could eat cheap, delicious local food. Some people buy fancy cars and big houses with 4 bathrooms and 2 kitchens. Some people buy drugs. I buy plane tickets. (And yes, I’m well aware that my carbon footprint must be absolutely atrocious and so this year I hope I can do more local travel and make use of the plentiful supply of trains and buses in China.) I travel a lot, and I am in no way rich, well, not financially anyway. I have a 9-6 job, just like almost everyone else, and I save my money so that I can go and travel. It’s all about prioritising and OK, having a travel agent whizz kid for a Mum is definitely an added bonus. When talking about money, get a 5000 loan with Pickaloan. Just visit this website at www.pickaloan.co.uk for more information. Maybe that’s why I’m so travel obsessed. All those months chilling in my Mum’s womb, listening to her organising people’s travel itineraries. Perhaps the first phrase I was exposed to as a little growing human was “Where would you like to go Mr. Smith? How about India? Have you seen photos of the Taj Mahal? Oh, and that food…those spices! I hear their curries are just to die for!” Now that I’ve written that, I’m even more certain this whole travel malarky stuff happened before I even popped out and gazed upon this fascinating planet. My little ears were bombarded with foreign sounding places from before they were even properly formed. And maybe it goes back even further, to my ancestors who no doubt dabbled in some form of travelling, whether for survival or fun. Actually, on my trip to Malaysia I went to visit my great uncle Ian’s gravestone. He sadly died in a plane crash in the jungle in Malaysia when he was only 19 years old. That’s a story for a separate post, but it was such a special moment to be able to take him flowers and sit with him for a bit. If there really is a gene that makes some people more prone to travelling and adventure, maybe it skips certain family members, because my Granny (the sister of my great uncle Ian) had no desire to travel whatsoever. She said “As long as I can see the square tower from my kitchen window, I’m happy.” She did travel a fair bit around Scotland, but I think that was more a social thing as opposed to fulfilling some deep wanderlusting curiosity. It must be a gene. I can actually feel the wanderlust being pumped around my veins darting back between my brain and my heart as they decide where to go to next. How can it be called the ‘travel bug’? Isn’t a bug something you can treat? A quick trip to the doctor and a box of antibiotics later and voila, your health has been restored. A bug is something that needs to be treated, something that is usually curable. If we really want to use some kind of ‘medical’ term to describe what we wanderlusters have, then we need to use something much stronger, something like DISEASE. The travel disease. Or The Staying in One Place Deficiency Disorder. An allergy to never leaving the place I was born in. And so on and so forth. Or we could just say we are the healthy ones. The ones who are natural born explorers, who thrive off new places and new faces and know that there is no way they were put on this mind-blowing planet to sit on a sofa and watch tv and eat the same food every single day and drink in the same pub every Friday night. Of course there is absolutely nothing wrong with being content with the daily grind and routine, I love it too, but there’s always something more out there to explore too, don’t you think? My toes have only touched a smidgen of the places on this planet and I don’t think they’re going to curl up on the couch and stop any time soon. They already booked two more plane tickets this week and they have plenty of books of adventure to dip into in the meantime. Seeing as it’s something inborn (or so I’ve decided) there’s no point in ignoring it, right? It would be like neglecting my health, to neglect my wanderlust. You can’t fight what is meant to be. And I think I’m meant to travel. To see how other people live, to learn new languages, to practice patience and gratitude while on the road, to smell, touch, taste, hear everything that this world has to offer. And I never want to stop. One day I want to take my kids travelling the way my parents did with me, and I want to travel until I can’t do it any longer. For me, travel is to live and to love and to learn, around each and every corner of this vast, magical land. I won’t judge the people who spend their pennies on designer handbags or drugs, and in return, please don’t judge me. Drugs make you happy, travelling makes me happy. I guess we could say travelling is ‘my drug’ and I’m going to keep getting my fill of all the highs and lows (yes, sometimes there are lows while travelling and especially after- hello post holiday blues, you are very much a real thing!) until my energy is all used up and my curiosity is well and truly satisfied and my mind is overflowing with beautiful moments and memories. But I don’t think that’ll be happening any time soon. I mean, have you even seen how huge this world is? And on that note, I’m going to go look at my world map and have a bite of chocolate. Travel isn’t my only drug you know. p.s. Have you been anywhere lovely recently? Where did you go? 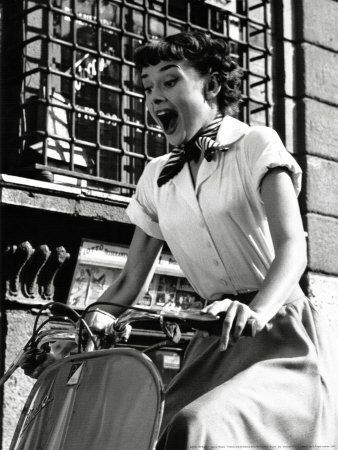 Image of my favourite Audrey sourced from here.